bread, pizza, muffins and more – with perfectly browned crust! The Bobcat System is designed for pot lovers! The Snow Leopard system is designed for mug lovers! We design cooking systems that allow you to prepare the meals that you want to eat, wherever you happen to be. From making tea on top of Mt. 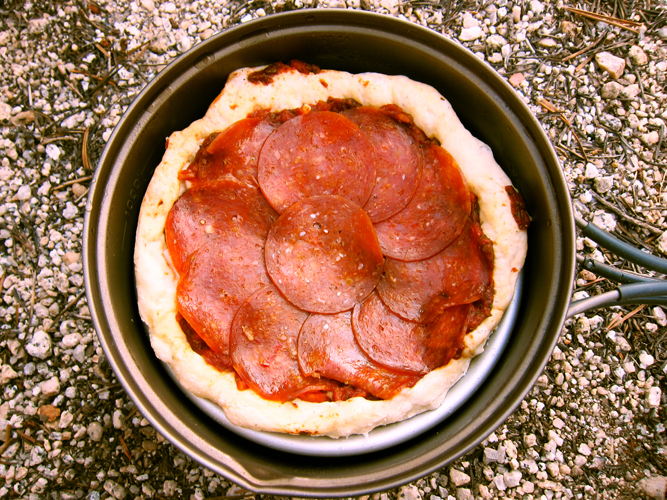 Whitney to melting snow during the Iditarod 350 race to dry baking a deep dish pizza on the John Muir Trail, we’ve been there and done that. We use to dream about cheeseburgers while hiking and now we just bake them on the trail! With our Cooking Systems you can boil, steam, pan fry and oven bake. Our Epicurean Backpacker’s Cookbook has some of our favorite trail tested recipes; you can download a copy for free!! You now have the opportunity to bring the meals that you only use to dream about!. Our philosophy has been to develop and refine Cooking Systems that are reliable and easy to use. To meet these objectives, we designed all of our Cooking Systems to nest inside your pot or mug. This provides the ultimate protection and keeps your gear in one handy spot. 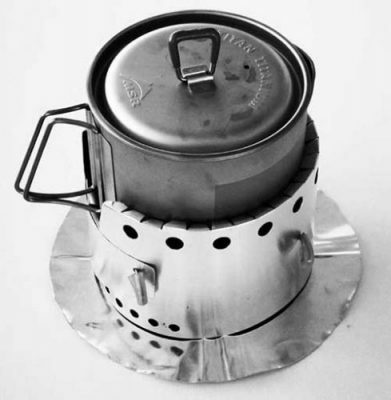 Our cooking systems have been used worldwide as well as being used on long distance through hikes (PCT, AT & CDT). We also designed our Cooking Systems to be modular allowing you to configure your hardware for the different environments and logistical challenges. The backbone of our Cooking System is our unique windscreen design: which can be used with a multitude of stoves. Hiking the Appalachian Trail? HEET (denatured alcohol) may be the best fuel and works with our Standard Stoves. Making pasta or rice? Try our Simmering Ring. If you are counting grams and need an ultra light system, you can switch to solid fuels (Esbit). Interested in dry baking, try out our world renown Epicurean Stove. For International travelling, the Multi-Fuel stove might be the perfect option. For the ultimate cooking versatility, you can use a isobutane stove. Our versatile Cooking Systems can be customized to meet your exact needs. The Snow Leopard System was designed for use with mugs. We offer three different windscreen sizes that correspond to the most popular mug sizes: Snow Leopard Original, Sr. & Jr. This range allows us to support over 150 different mug diameters (500 ml to 1200 ml). Mugs are generally used a solo adventures as mugs are valued for their small pack volumes. 2-28-18: Kovea Spiders are now reduced! Pick up a Bobcat Kovea Cooking System for $72.50! 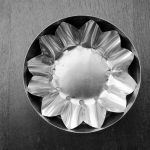 Aluminum is dead, long live Stainless Steel! 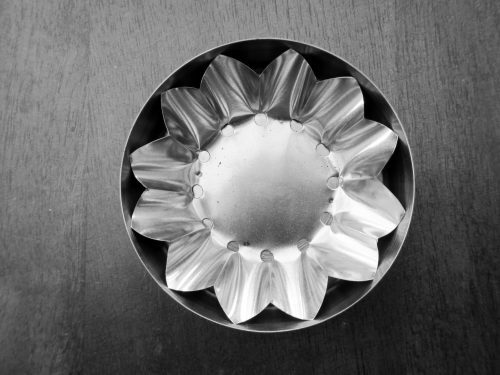 We have gotten good enough at working with stainless steel that it is easier to work with compared to aluminum. To that end, we have lowered the price of our stainless steel windscreens to that of aluminum. We even dropped the price of our aluminum windscreens just to move inventory. Get them while they are hot! See the new Bobcat 2.0 Stove. Jack is raising the dry baking game to new levels. He just sent me a photograph of some of the dishes that he prepared while out on a 2 day backpacking trip. 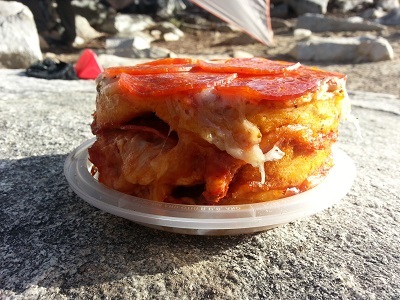 Here is a photo of his triple decker pepperoni pizza. 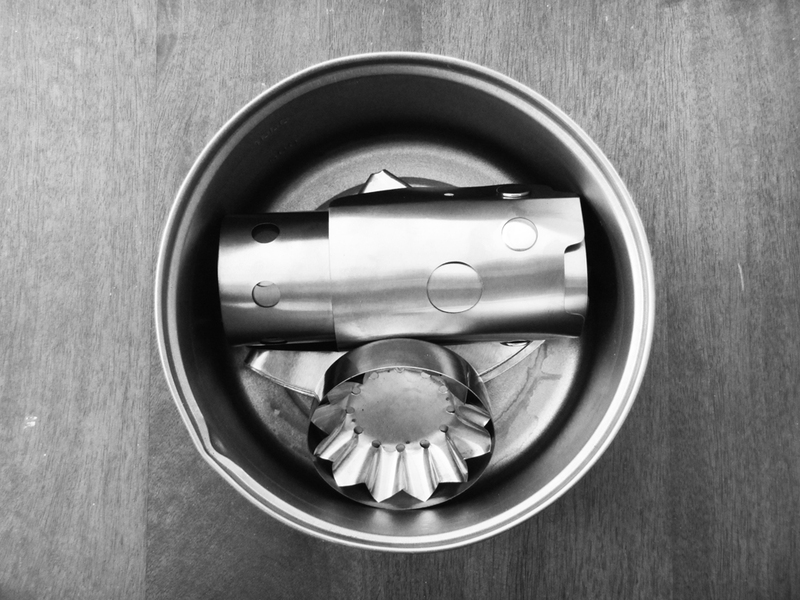 Introducing the new Bobcat 2.0 alcohol stove!